Postojna Cave is a well-known cave in Europe and the largest of the Classical Karst. 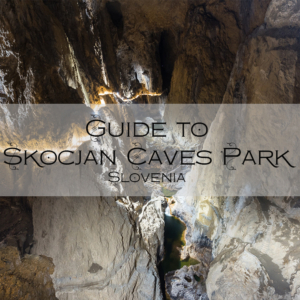 Carved by the Pivka River, the cave is 24 kilometres long with numerous underground passages, galleries and halls. 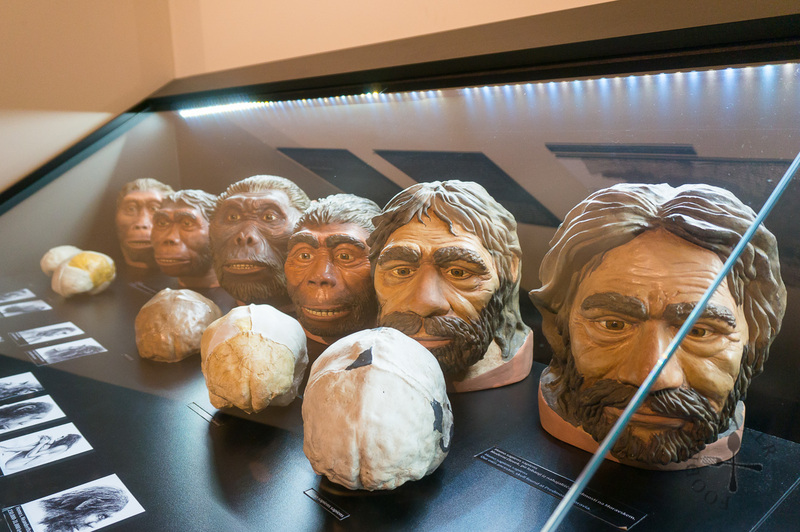 It was not known when the cave was first officially discovered but records had shown that the first visitors to the cave dated back to more than 800 years ago. 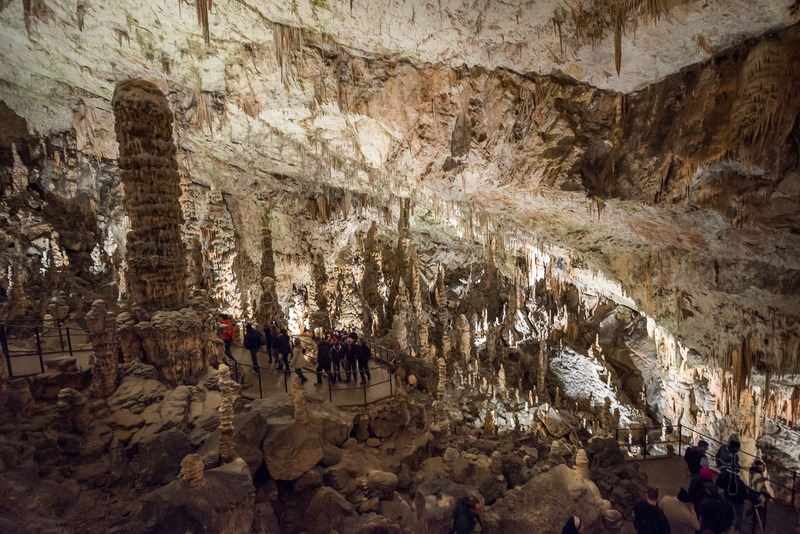 Modern age tourism was developed in 1818, after a large inner area of Postojna Cave was discovered by Luka Čeč, a local of Postojna. 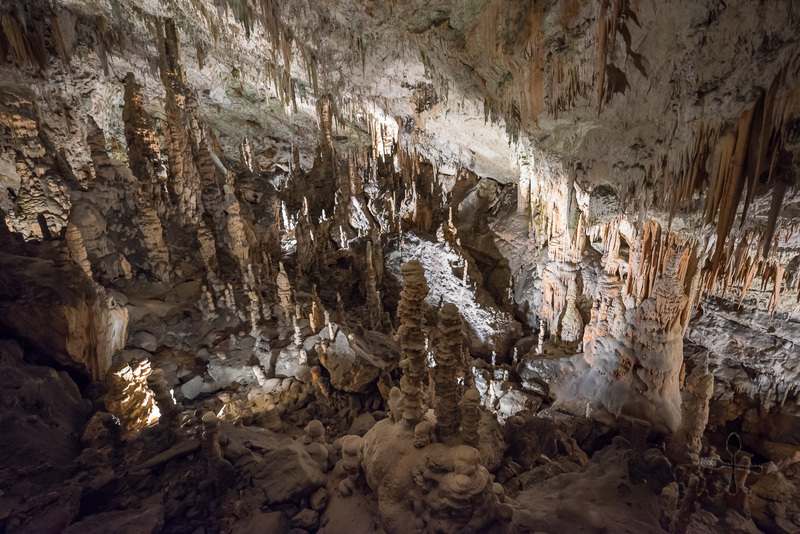 The cave was officially opened to public by Archduke Ferdinand I in 17 August 1819, and since then, the cave has welcomed more than 35 million visitors to the cave. Here is our guide and experience (with many photos!) to this spectacular wonder! 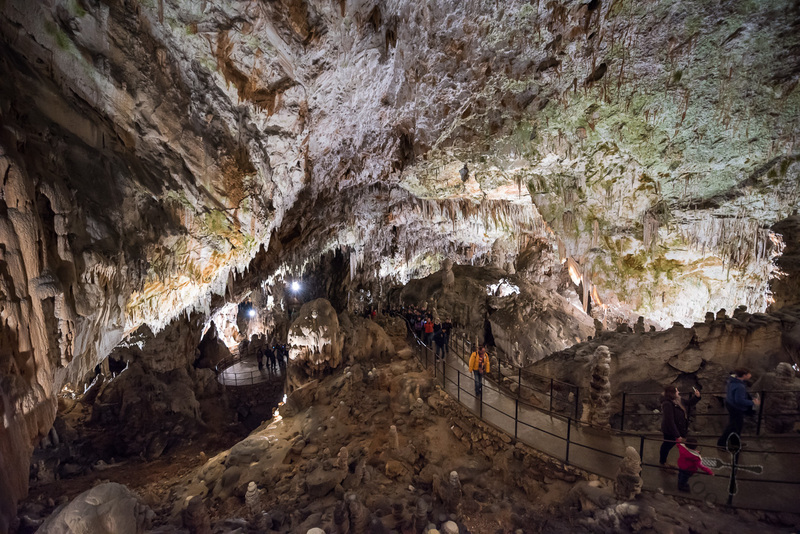 Postojna Cave can be easily reached by private transport and the car park is located at these coordinates: 45.781174, 14.203359 (the parking lot of motorhomes and caravans is next to the car park for cars). 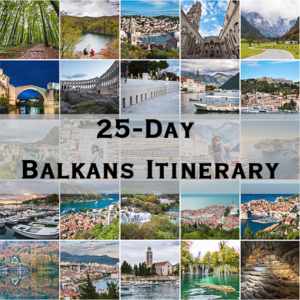 It’s easy to get there with directions provided by Google Maps – to save on data, use Google Map to download the offline map of Slovenia when you have access to WiFi. If you need a SIM card, you can consider getting the Visitor Sim offered by Si.mobil, which provides 15 days of 10GB internet access at 15€. The parking lot for cars is quite huge so I think it’s impossible to find a lot. For motorhomes and caravans, there are 30 lots available with access to electricity. The parking rate is €4 per day for cars and €20 per day for motorhomes and caravans. The parking can be paid at the ticket counter (where you purchased the tickets to the attractions) or at the machine shown above. 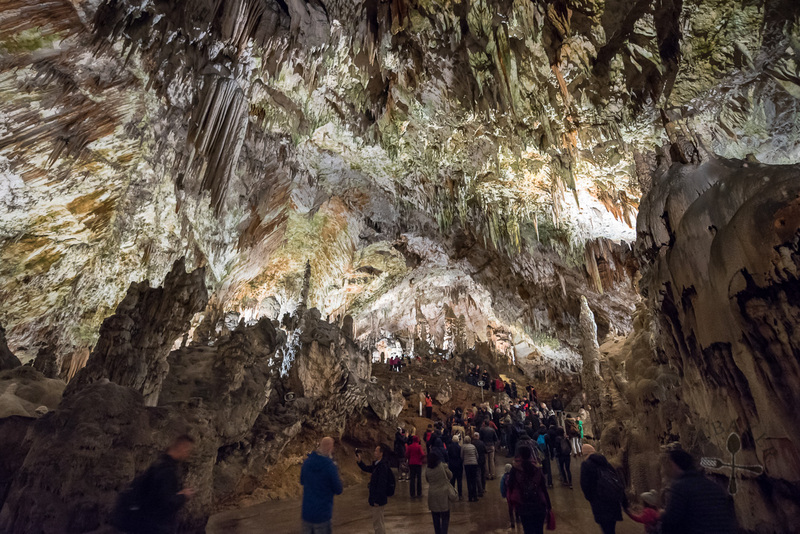 Due to its overwhelming popularity, it’s a lot easier to reach Postojna Cave by public transport as compared to Škocjan Caves Park. Postojna Town: Postojna Town is located near Postojna Cave, and you can reach the town easily by train or bus. If you are arriving from other European countries nearby, you may need to use a mix of train and bus to reach the town. Train timings can easily be searched from Slovenian Railways’ website here. Train tickets can be purchased at a station’s ticket office. The train station is located at these coordinates 45.773077, 14.221299, and is a 2-kilometre (30 to 45 minutes) walk to Postojna Cave. For buses, timings can be searched Avtobusna website here. It’s best to take a bus from major cities and towns as they are more likely to stop by Postojna (there are no transfers for buses unlike trains). Bus tickets can be reserved online, at ticket offices or via phone calls. The Postojna bus stop is located at these coordinates 45.773510, 14.211040 and is a 1.5-kilometre (20 to 30 minutes) walk to Postojna Cave. 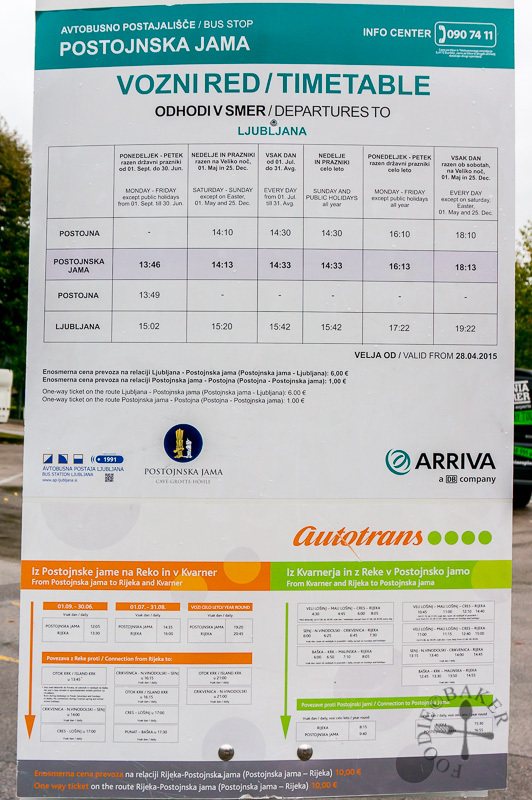 Do note that for both trains and buses, Postojna is usually an intermediate stop, meaning it’s not the final stop – so remember to take note where to alight! 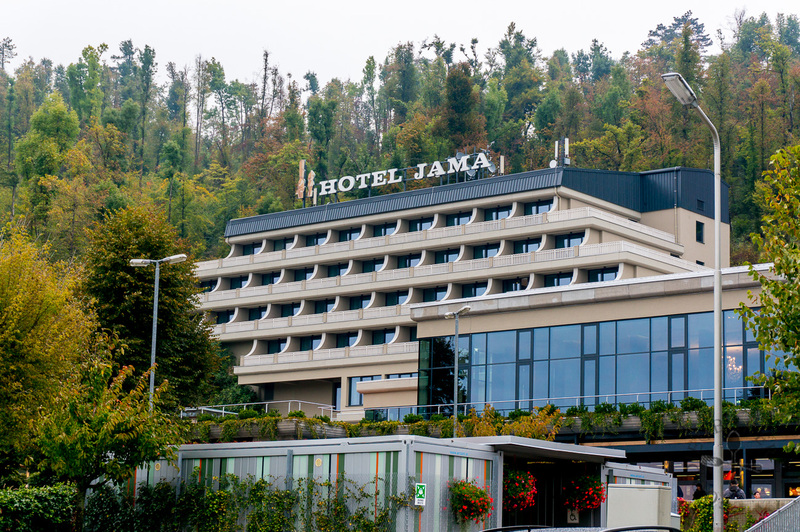 Postojnska Jama (Postojna Cave Bus Stop): In 2015, a new bus stop, Postojnska Jama, has been established right at Postojna Cave, making it a lot more easier for travellers to reach the cave without having to walk from Postojna Town. Arriva Company provides bus services to Postojnska Jama on its Ljubljana-Koper-Piran and Ljubljana-Nova Gorica lines. The overall timetable for both lines can be found here – but as the timetable is dated 2015, it’s best to check the actual bus timing using the website’s search function. 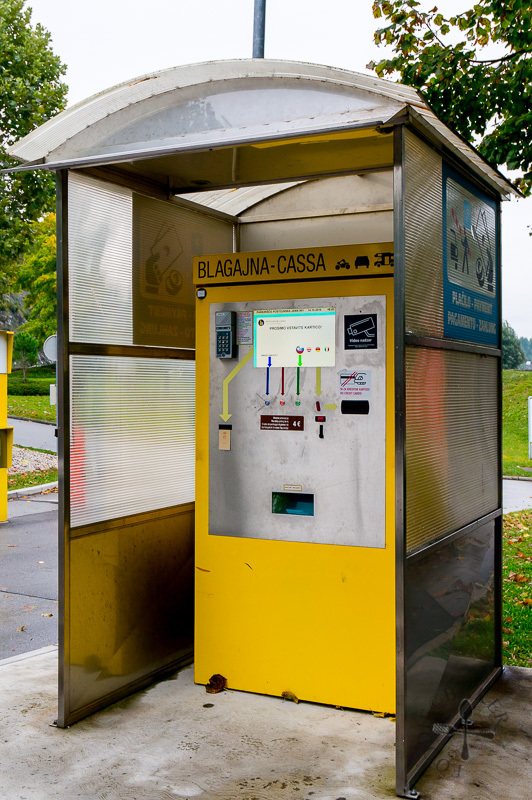 Another company, Autotrans, provides bus services to Postojnska Jama from Rijeka – search for bus timings and pricings here. 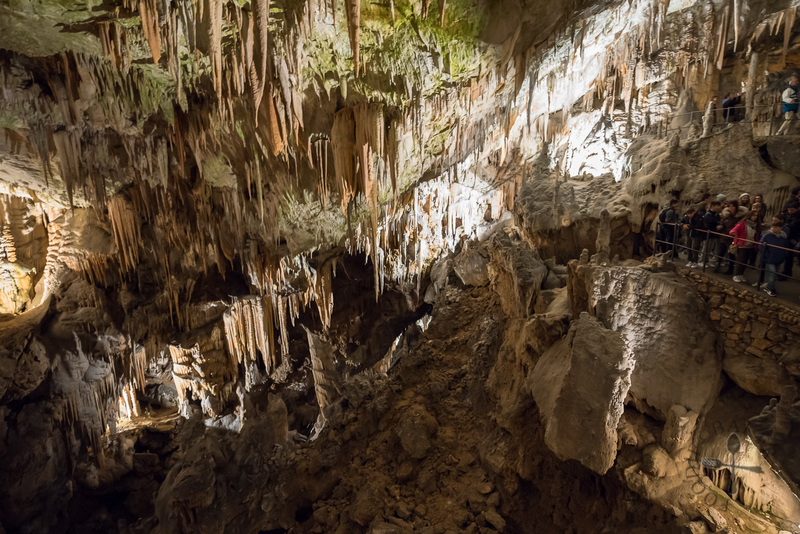 Our Experience at Postojna Cave! After getting our tickets, we queued up at the entrance, where there are four queues for different languages – Slovene, English, German and Italian. If you don’t speak any of the above languages, you can rent an audio guide at €3 each, which comes in 17 languages. After queuing for a short while, we were ushered onto… a train – yes, a train! Only 5.2 kilometres out of 24 kilometres of the cave is opened for tourists, but instead of walking by foot for the whole of 5.2 kilometres, about 3.7 kilometres are covered by train. The railway tracks were laid in 1872, allowing visitors to ride in two-seater carriages which were manually pushed by the cave guides. 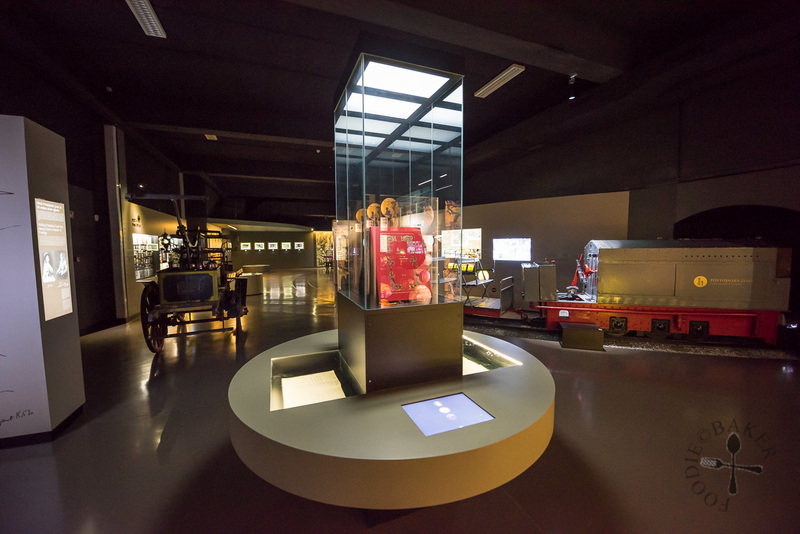 In 1924, the railway system was overhauled and gasoline-powered locomotives were used to transport the visitors, which were replaced with battery-powered ones in 1957. The train stopped at the Great Mountain (also known as Calvary) – each tour group is really huge! 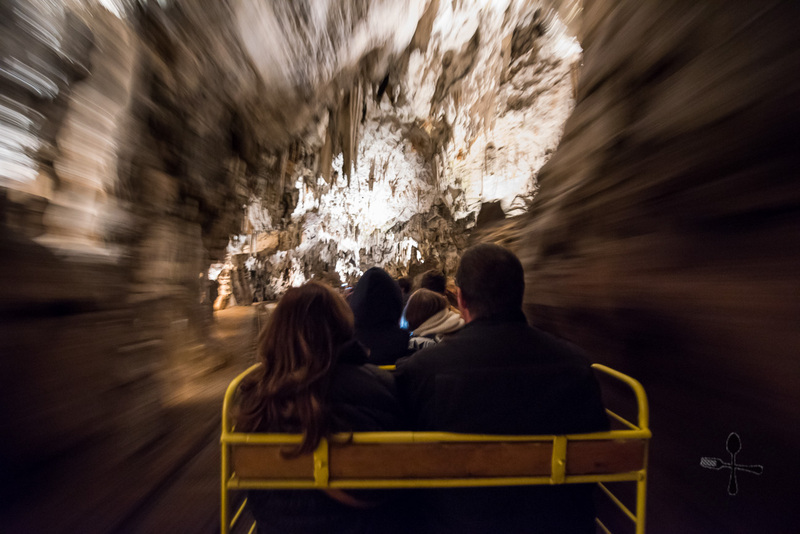 The electric train passes through artificial (built when a double track railway was constructed in 1964 to accommodate increasing visitors) and natural tunnels, before emerging into a hall of stalactites and stalagmites. 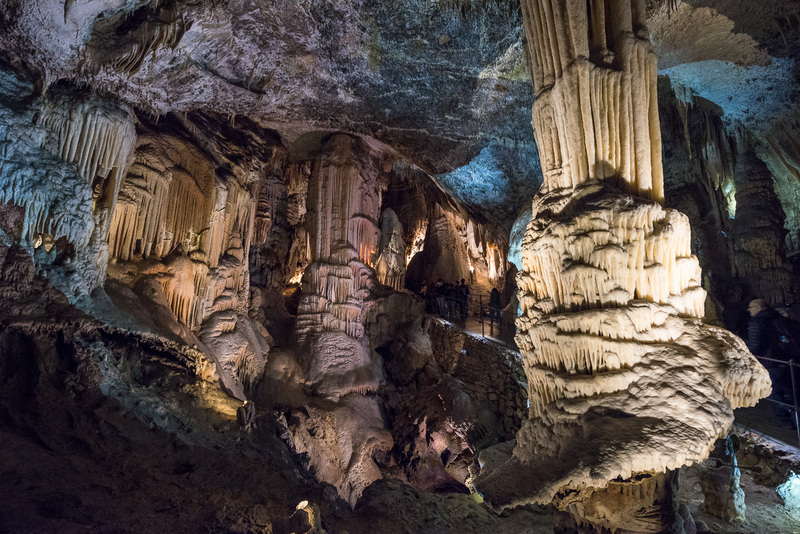 It was a jaw-dropping sight seeing the stalactites and stalagmites – don’t bother taking any photos during this period (there are plenty of photo opportunities later on), just take in the views! After the short train ride, we alighted and followed our guide to continue the visit on foot for the remaining 1.5 kilometres – there is a bit of upslope climbing at the start, but after that the path is relatively flat. Microphones are installed along the tourist trail and the guide uses them to explain details of the cave. Thanks to these microphones, we were able to hear the guide even though we were at the back of the tour group. 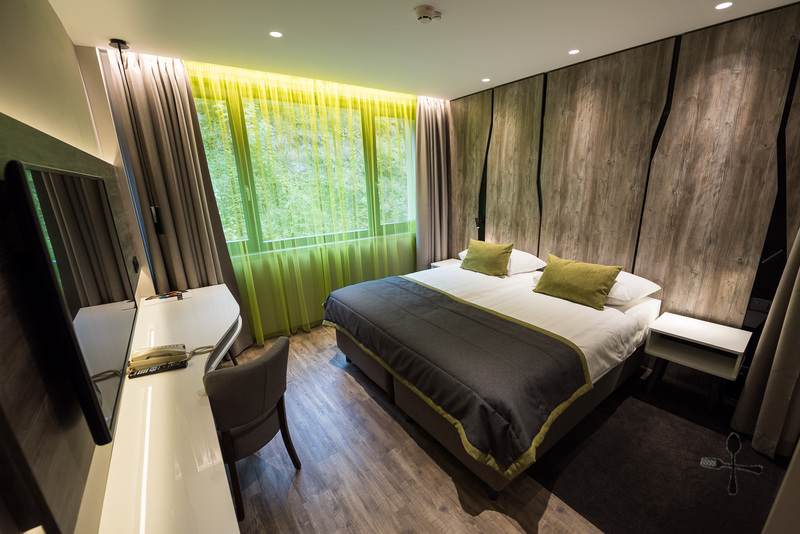 The tourist trail has been divided into different “rooms” – such as the Great Mountain, Beautiful Caves, Spaghetti, White and Red Halls and Brilliant Passage. 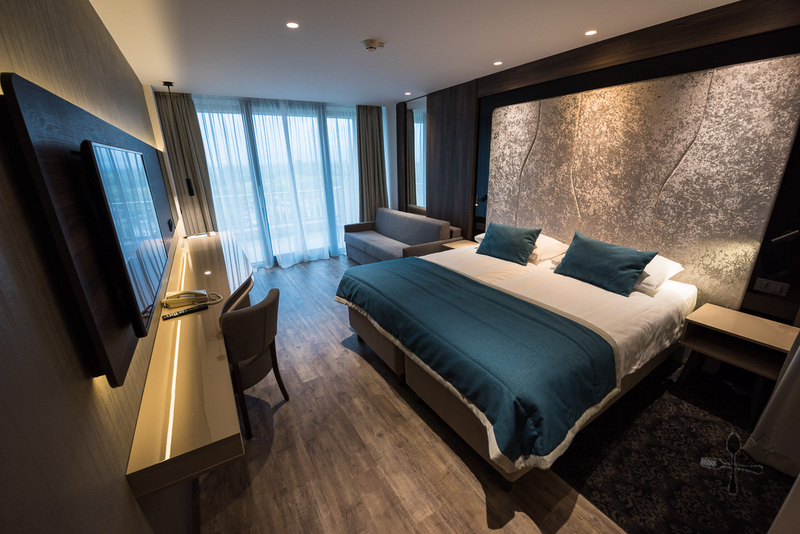 All of them feature stalactites and stalagmites, and in case you have forgotten – stalactite hangs from the ceiling while stalagmite grows from the floor. They grow at an average rate of 1 centimetre every 100 years, so you can imagine how long it took for all of these to grow to such massive pieces. 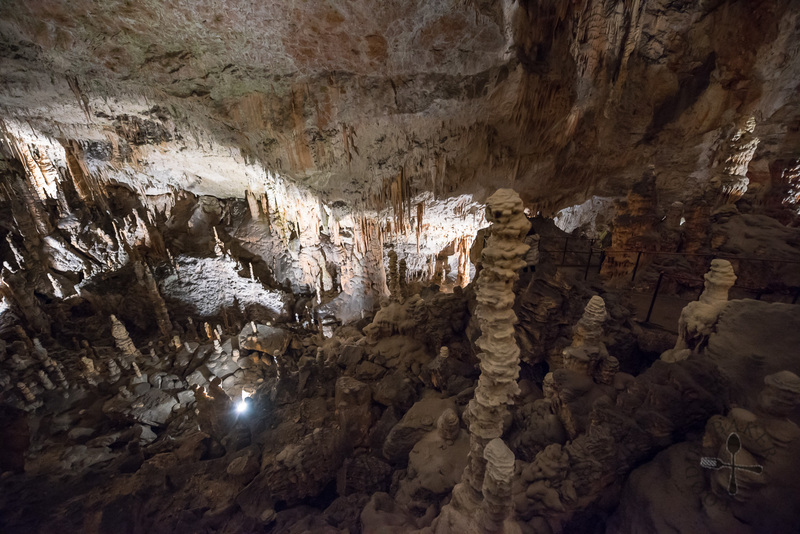 When a stalactite and stalagmite joins together, it is known as a pillar or a column. 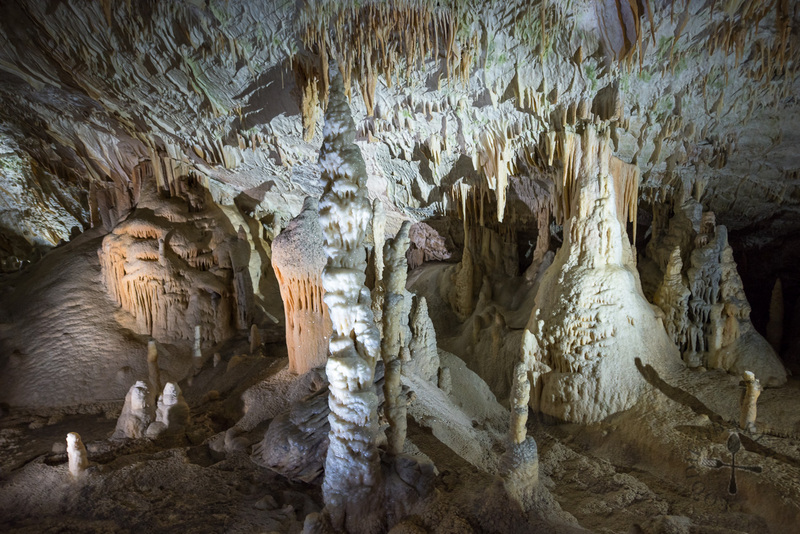 In Postojna Cave, there are many interesting pillars in various colours, shapes and sizes. To allow visitors to be able to see in this otherwise pitch-black cave, lights have been installed all around the tourist trail. 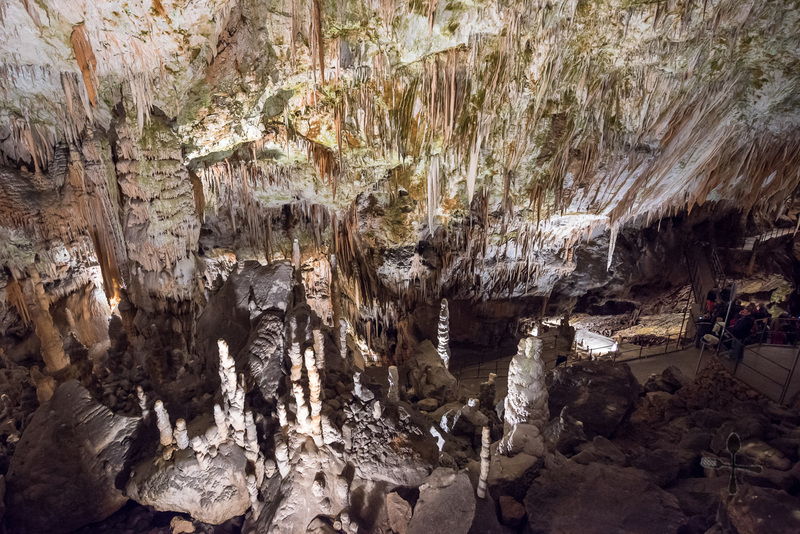 The presence of light and the carbon dioxide produced by visitors resulted in mold growing in the cave, hence the greenish tinge in most of the photos. As such, flash photography is not allowed in the cave, though it’s hard to enforce this rule as the tour groups are too big. 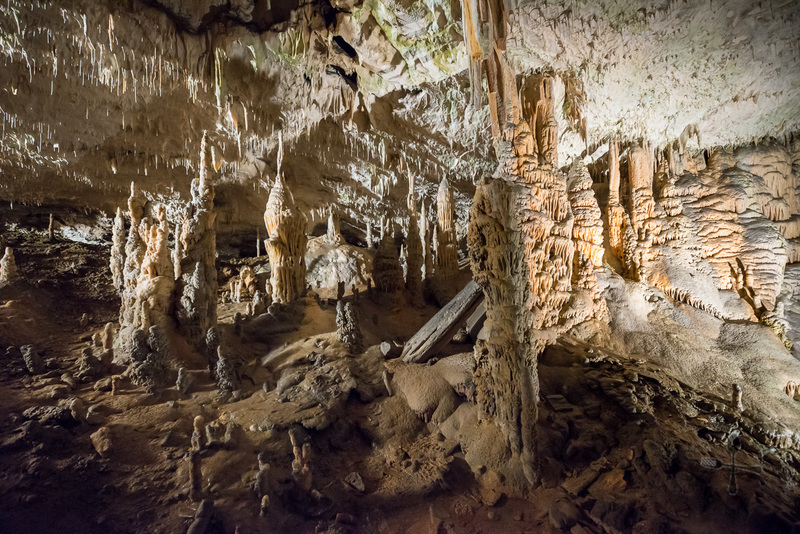 Other natural colours that can be seen on the stalactites and stalagmites are red and orange (due to the presence of iron minerals) and black (due to manganese minerals). The most beautiful ones are the white ones – they are of pure, concentrated calcium carbonate with no traces of other minerals. As we continued on the trail, we were greeted by large pillars that are like art pieces. 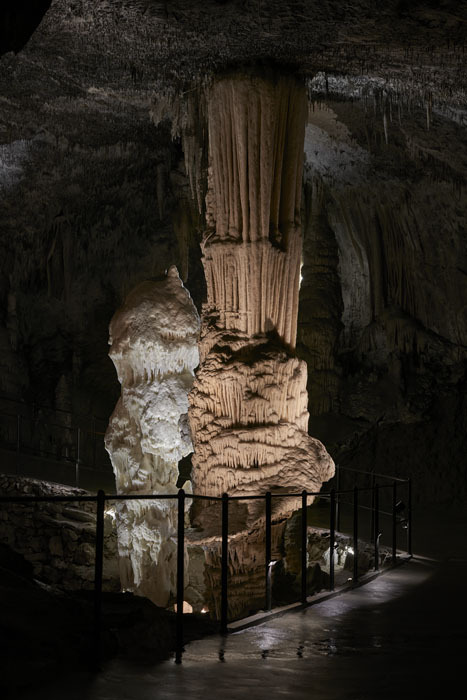 The most famous stalagmite in the whole of Postojna Cave (and perhaps the most photographed) is the Brilliant (the one on the left in the above photo), found in the Brilliant Passage. Approximately 5 metres tall (meaning it’s about 50,000 years old! ), the stalagmite is of pure calcium carbonate, giving it a shiny, white colour. Some says it look more like a double-scoop ice cream – what do you think? Personally, I love the Brilliant Passage the most, not because of the Brilliant stalagmite, but because of the other massive pillars in the Brilliant Passage. It’s amazing and a true wonder how Mother Nature can create all these beauty! At the end of the trail, there is a vivarium featuring the olm (also known as human fish). It is a small and weird-looking (to some, it may be cute) aquatic salamander that can be found living in Postojna Cave. 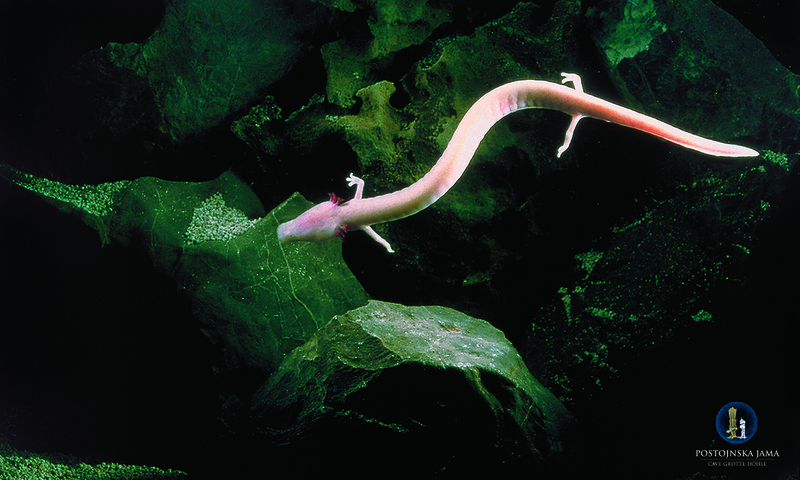 The olm’s skin colour is that of a human (hence the nickname human fish) and is completely blind. It is also incredibly small, only about 30 centimetres long, but it can live really long, at least 60 years! There’s a separate exhibition, Vivarium Proteus, that has more information about this interesting creature. More information can be found here. At the end of the tour, we took the train back to exit the cave. 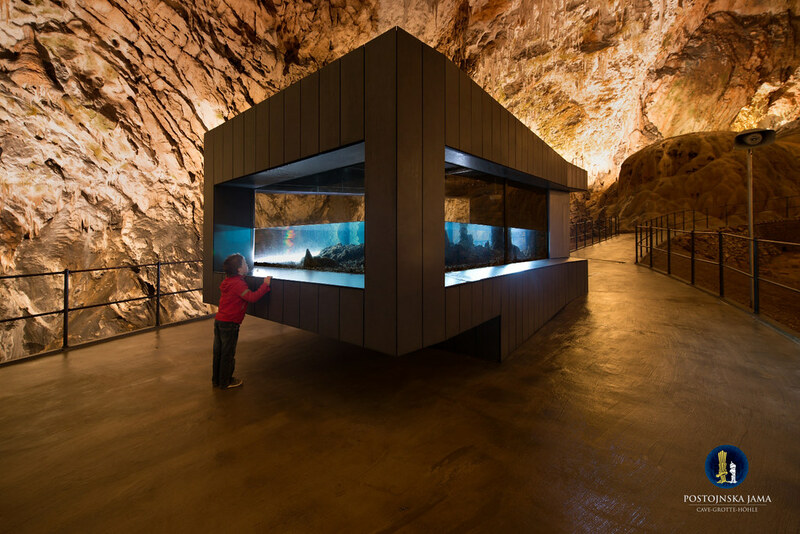 Besides visiting Postojna Cave, there are a few other attractions that can be done within the park premises, or just slightly further out of Postojna Cave. 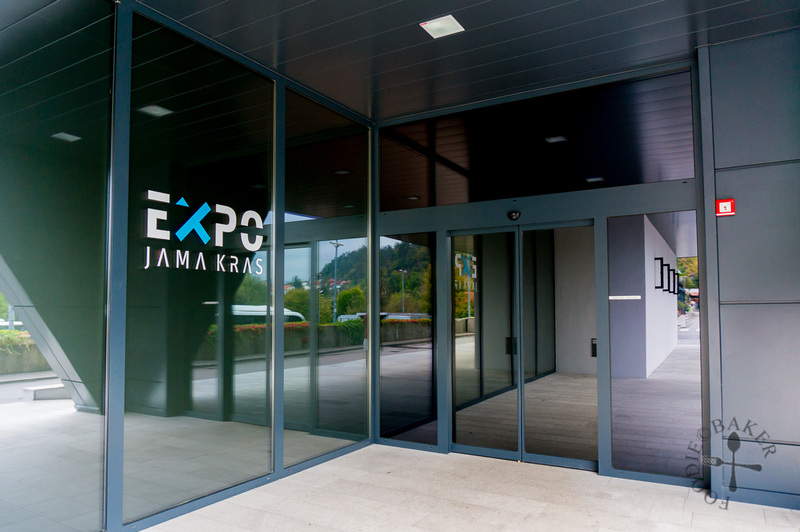 One of them is the two-storey EXPO Postojna Cave Karst, which boasts the world’s largest exhibition on caves and karst. 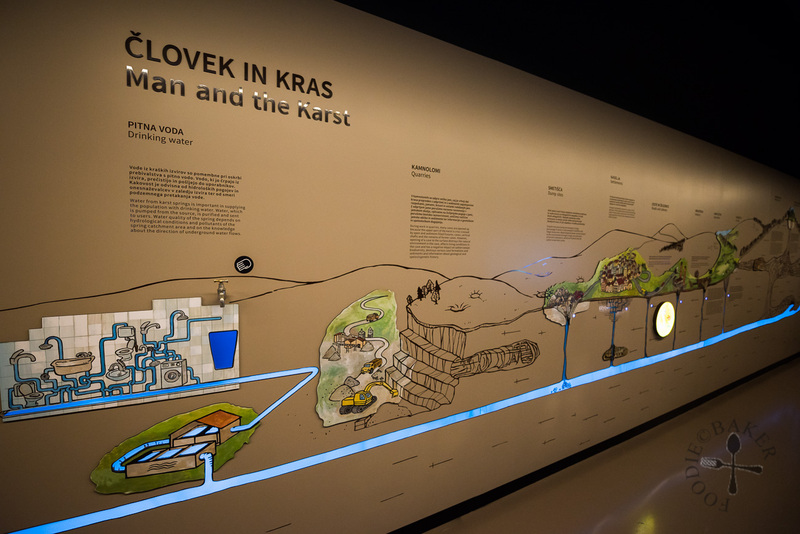 Travellers visiting the EXPO can learn all about the karst topography, as well as how Postojna Cave became such a popular attraction. 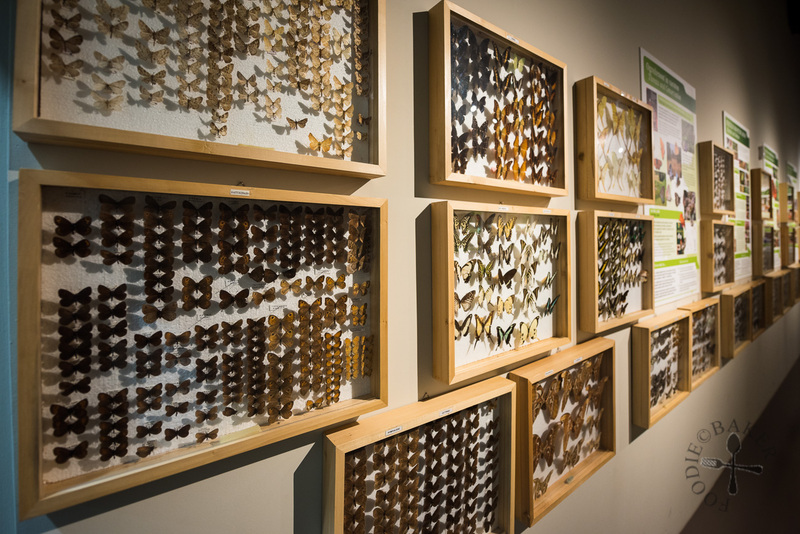 The use of interactive technology and projections in the EXPO help keep children entertained, making the experience educational and enriching. 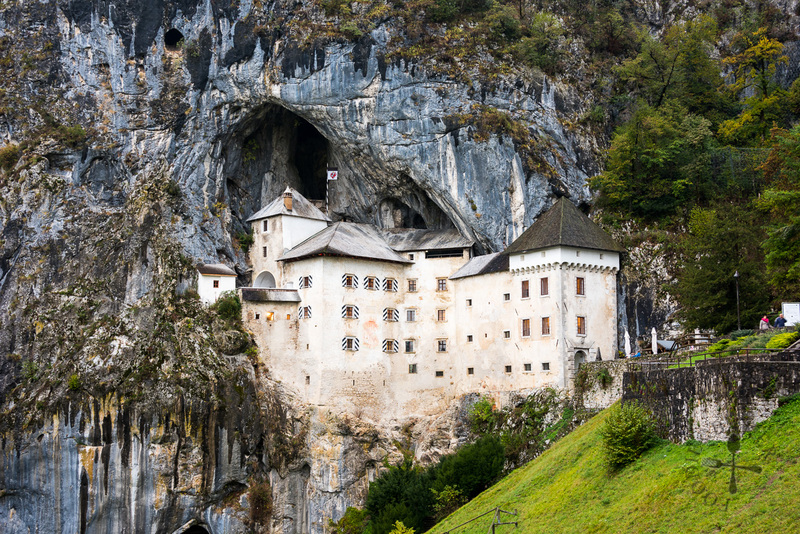 Predjama Castle is located about 9 kilometres away from Postojna Cave. Built into a 123-metre vertical cliff in the 12th century, the castle’s white walls (reconstructed in the 16th century) are a stark contrast against the dark, grey cliff and surrounding greenery. We did not enter the castle as we weren’t castle fans, but if you are interested, more information can be found here. If all tickets are sold out for a particular timing, you will have to join a later tour, so arrive early to get your tickets or purchase them online. **Guided tours are available at 1100, 1300, 1500 and 1700 from May to September. If you choose to visit more than one attraction, there are combo tickets which you can get to save some money. Prices of these combo tickets can be found here. 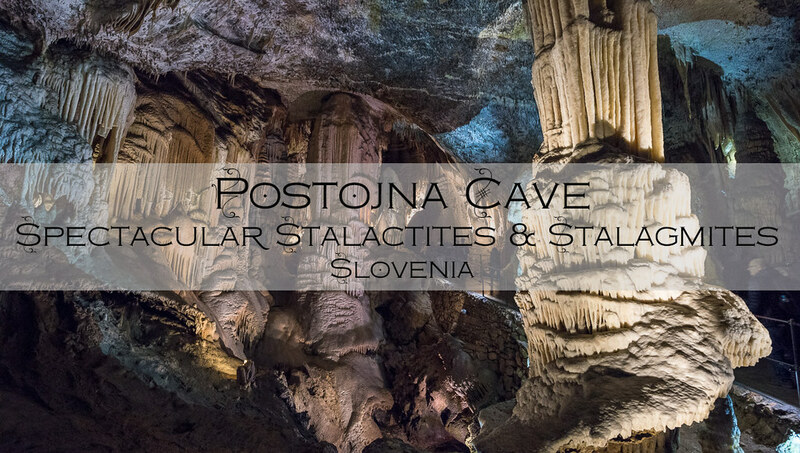 With its easy trail and ample facilities, Postojna Cave is an extremely popular tourist destination. Hence, huge crowds and numerous tour groups are expected during the visit. Each tour group consists of 70 to 80 people so if you want to ask the guide questions, you will have to stick close to the guide. While I usually don’t like touristy destinations, I honestly feel that this cave is worth a visit because the cave’s sheer size and the amazing stalactites and stalagmites formations are truly one-of-a-kind. Look past the crowd and enjoy its beauty! Full disclosure: Our visit to Postojna Cave was sponsored by Postojnska jama d.d. and no other monetary compensation was received. All experiences and opinions are our own! Spectacular, the caves are amazing. I would love to visit there and I would be first in line to enter that castle. Magnificent.